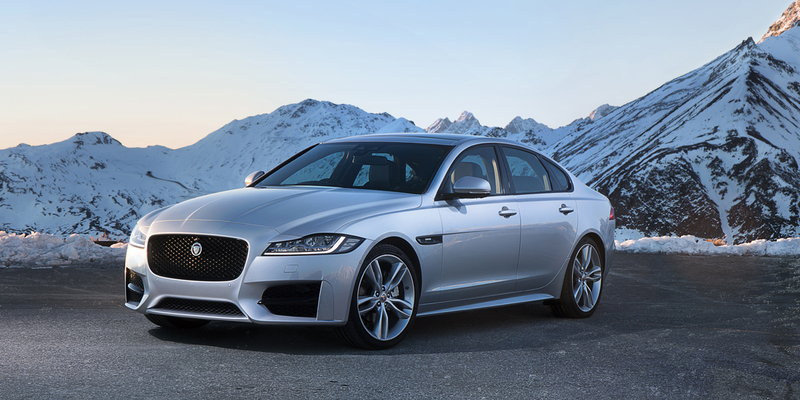 CG Says: The 2017 Jaguar XF gains a new engine choice and a lower priced base model. 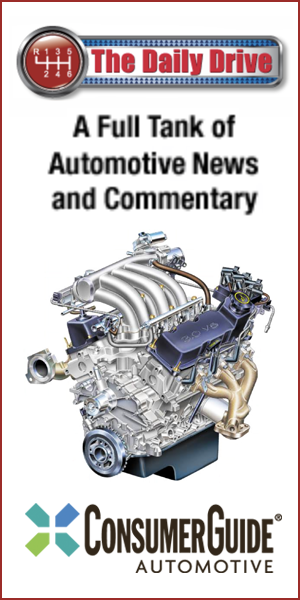 A new 180-horsepower turbodiesel 2.0-liter 4-cylinder engine is available in addition to a supercharged 3.0-liter V6 that puts out 380 horsepower in the sporty S trim level and 340 in the Base, Premium, Prestige, and R-Sport models. Diesels are badged “20d”, while 340-hp V6s are labeled “35t”. An 8-speed automatic is standard on all, and all trim levels are available with rear-wheel drive or all-wheel drive. In addition to the expected luxury trimmings, available features include heated and cooled front seats, heated rear seats, power-closing doors, power trunk lid, faux suede headliner, and an adaptive damping suspension. 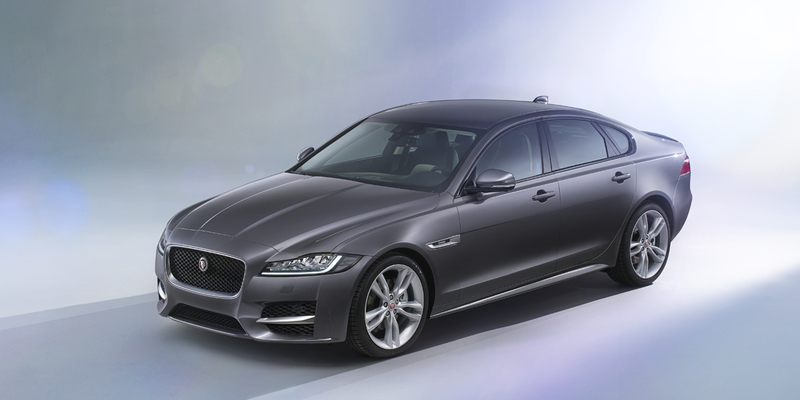 The new Jaguar XF makes a fine case for itself as an alternative to the usual German midsize luxury/sport sedans. 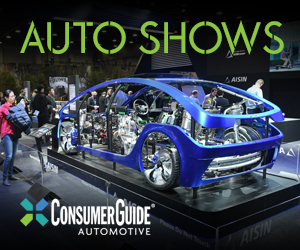 Its lightweight aluminum construction makes it feel lithe and athletic from the driver’s seat, and also contributes to respectable fuel economy numbers, given the power on hand.